During my impromptu tea excursion celebration thingy last weekend, I managed to snag a few notables from TeaHaus. It helps that I always get caught up in conversations about tea with the baristas and end up discovering new awesome varieties I never knew existed and can’t possibly live without. A shout-out to Claire for her Pinkie Pie excitability. China Keemun Finest Chuen Cha is exactly what I think of when I think of tea: a lovely complex and exciting oriental (the Huang Shan mountains of Anhui! *swoon*) experience. The aroma alone is enough to perk me up: a musty/dirty driving-too-fast-down-an-ancient-curvy-Chinese-mountainous-country-road-next-to-a-tea-plantation of a nose. Chuen Cha’s taste is fortunately equal to its scent: a hint of bitter amidst a complex hot cocoa-like flavor. 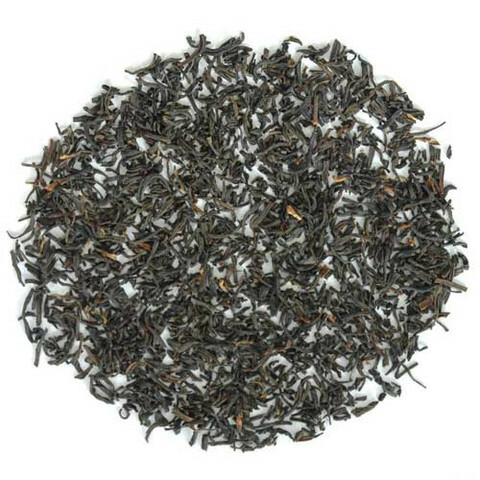 In texture, Chuen Cha is velvety with the kind of grit that makes one wish to roll it around on the tongue. In short, a Black of highly refined (actually the finest grade available, yet quite affordable!) caliber. To experience the fullness of the leathery flavor for a Keemun, you may wish to brew the tea for the full three plus minutes, and definitely don’t skimp on the teaspoon–use two if necessary.